InstaForex trading conditions are considered as the universal tools for the funds management on the online Forex trading. The importance of InstaForex international broker is simply providing higher investment services along with deriving profit from operating margin on the international worldwide financial forex markets. 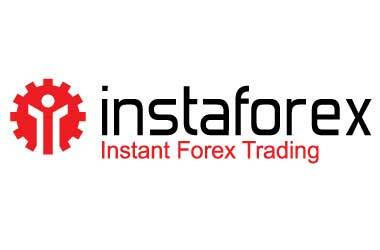 InstaForex brokers use special technologies like cutting-edge for online forex trading. Additional they have access to the news and other useful information resources that is provided by the famous news agencies. The broker is headquartered in Kaliningrad, Russia. They are established in the year 2007. The minimum deposit the broker demands is as low as $1. The funds can be managed very easily in this broker. Multiple deposit and withdrawals options available here are through Credit Card, Bank Transfer, Alertpay, Webmoney, Global Digital Pay transfer, Yandex.Money and many other channels are supported by the broker to make the funds management so easy to their traders. The account size provided to the traders by the brokers is not limited and hence the traders can make unlimited transactions. The currency pairs provided by the brokers are large in number. They support approximately beyond 300 trading symbols. They support FOREX, stocks, futures and indexes. Execution of the transactions is done very quickly and immediately. Availability of high qualified technical and consulting customer service on 24/5 basis makes the traders to be much reliable and credible. The leverage of this broker can range from 1:1 up to 1:1000. All of the accounts created here are Swap-free accounts. The broker provides customer services through multiple channels like phone, livechat, email and many other forms for 24/5 basis.